When the Boston Marathon comes around everyone wants to be on the route. From the starting point in Hopkinton to the Boylston Street finish line, fans and family members jockey for position as they try to scope out the very best vantage to cheer on the runners. Should they stake out turf on Heartbreak Hill and buoy the athletes in their time of need or make a beeline for the Back Bay finish line? Some homeowners don’t have to venture far at all. These lucky residents can simply look out their window or walk out their front door or just a few blocks to be in the thick of the excitement. Here are a few homes along the route. Can you say marathon party? 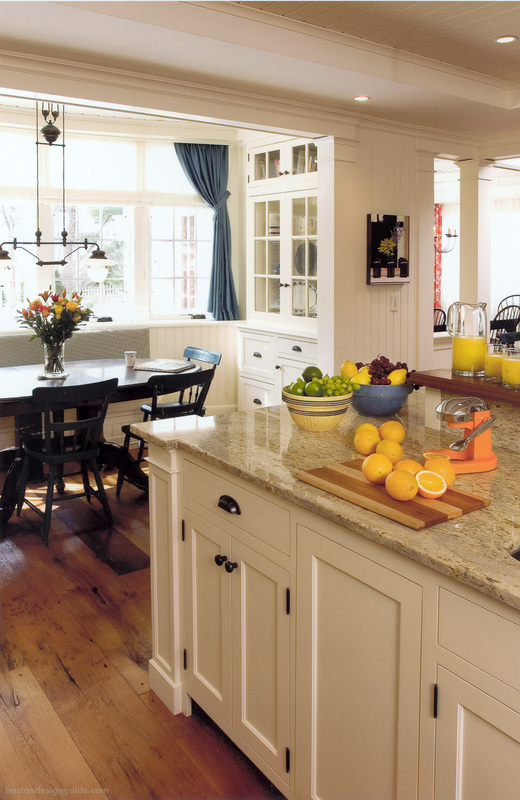 Imagine fortifying yourself in this bright kitchen and breakfast nook before a day of spectating. 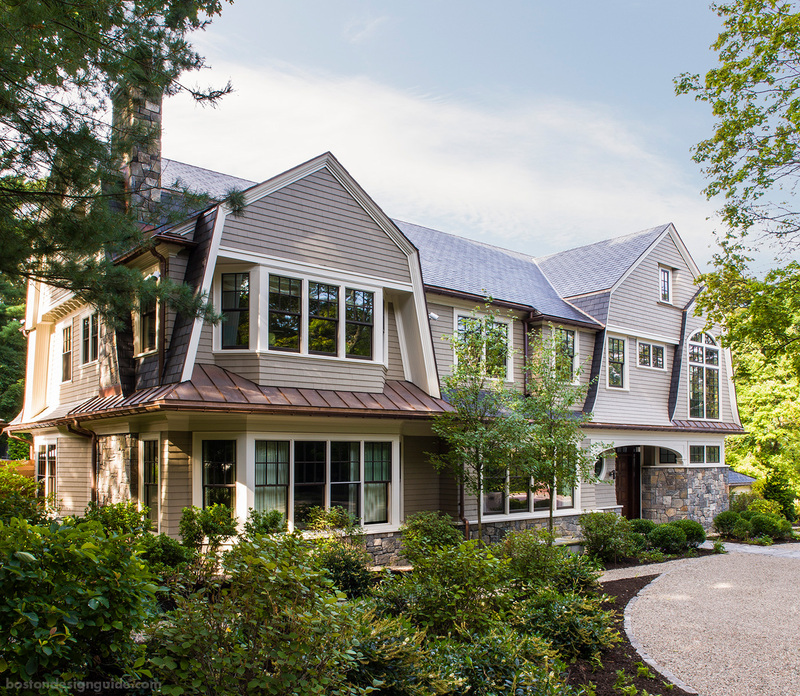 This inviting Wellesley home constructed by Kistler & Knapp Builders, Inc. is just a short walk to Route 16. 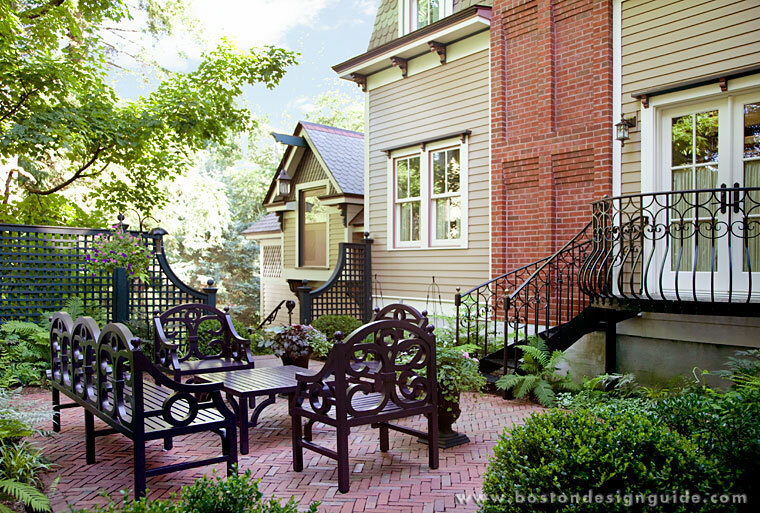 This cloistered and captivating bluestone and granite garden terrace in Wellesley is minutes away from the marathon’s main drag. Designed by landscape architect Karen Sebastian, and maintained by a Blade of Grass, the eden is full of discoveries, including stained glass tile, a gurgling stone fountain and a second bricked alfresco area just for the homeowner. 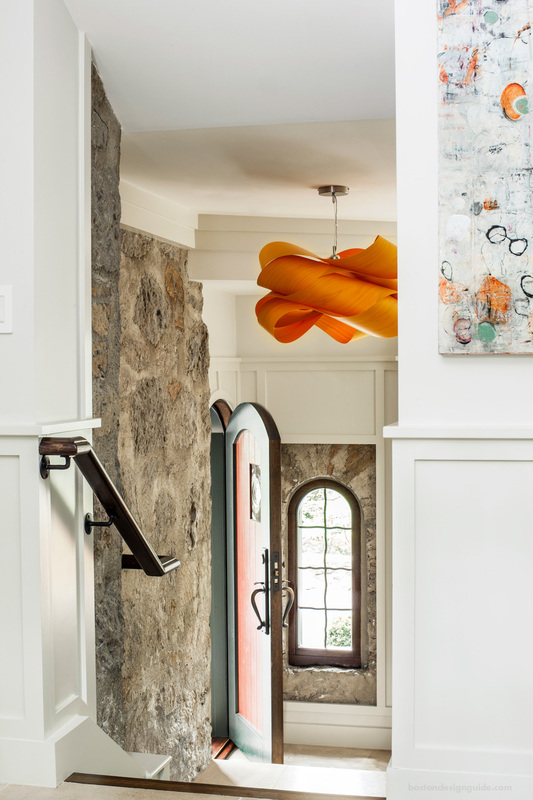 This private and picturesque Puddingstone residence by LDa Architecture & Interiors in Newton is a stone’s throw from the race route. Residents just have to dash out their mudroom door and they’re off to Commonwealth Avenue. 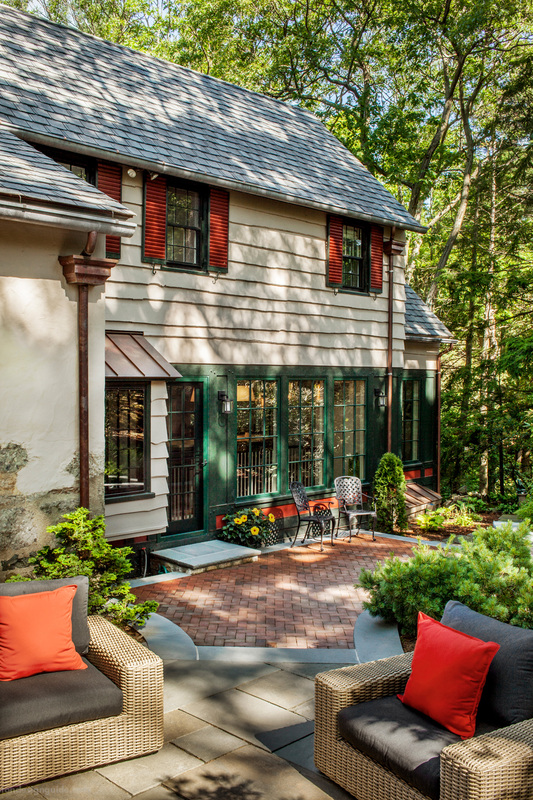 This gracious hilltop Gambrel in West Newton, conceived by LDa Architecture & Interiors and built by Wellen Construction, is a short distance from Heartbreak Hill. 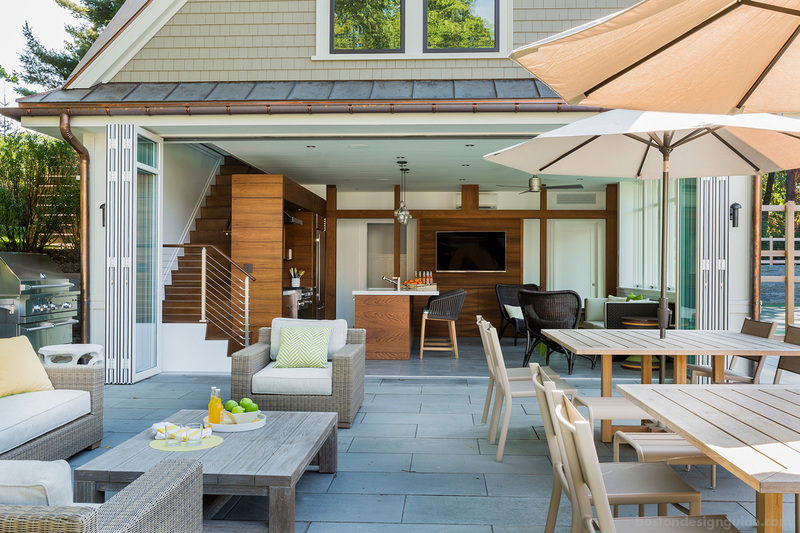 Were it not for this year’s unseasonable, unreasonable weather, the homeowners could host an epic post-race party in their contemporary clubhouse, which spills out to a pool and spa terrace, rolling lawns, putting green, and tennis and basketball courts. 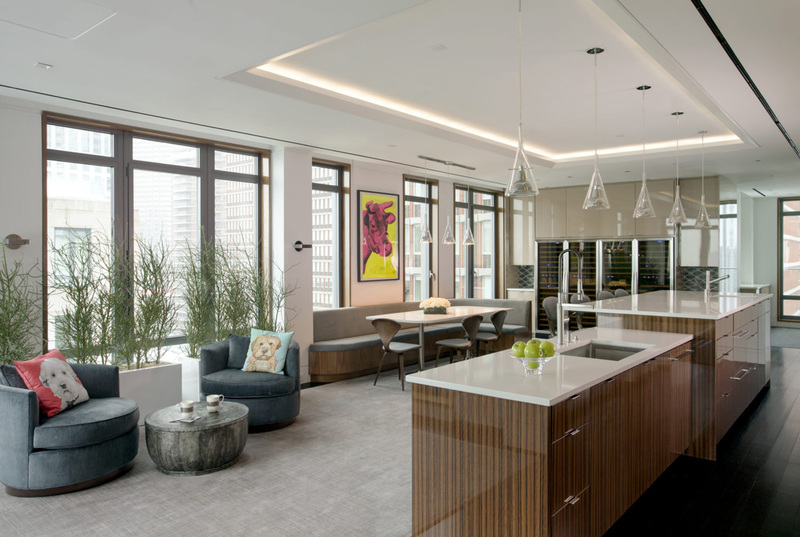 Custom Builder The Lagassé Group, whose headquarters, incidentally, is in Hopkinton, constructed this luxurious penthouse at the Mandarin Oriental. 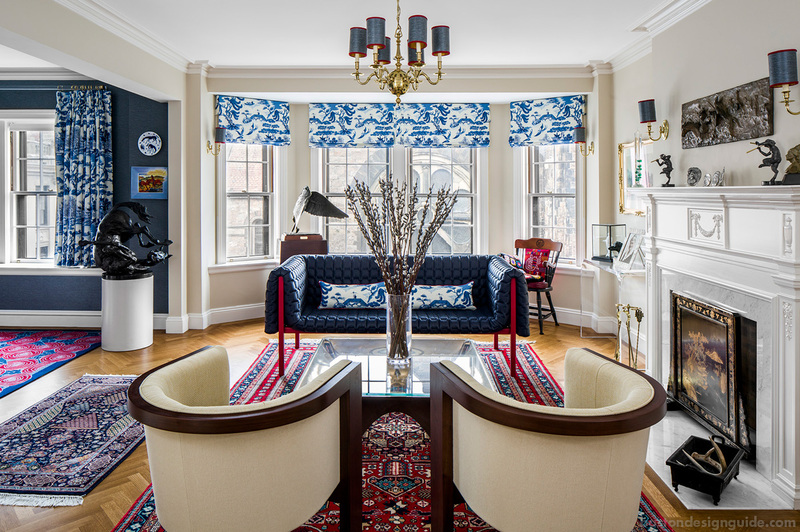 Right on Boylston Street, this four-bedroom unit boasts 360-degree views of Boston and a double-sided gas fireplace dividing the entry foyer from the formal living room. 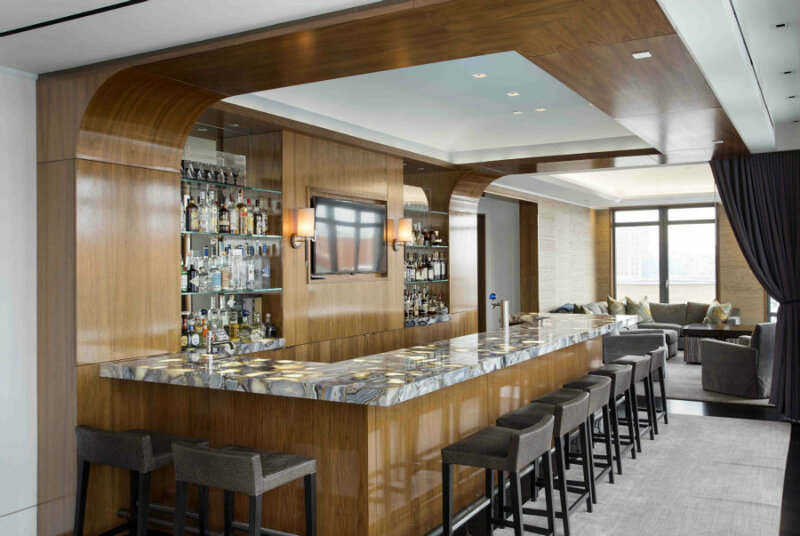 The homeowners and their friends are clearly living the high life, as shown by this custom walnut bar (with a backlit semiprecious stone top!) that was made for entertaining. Talk about a big finish. 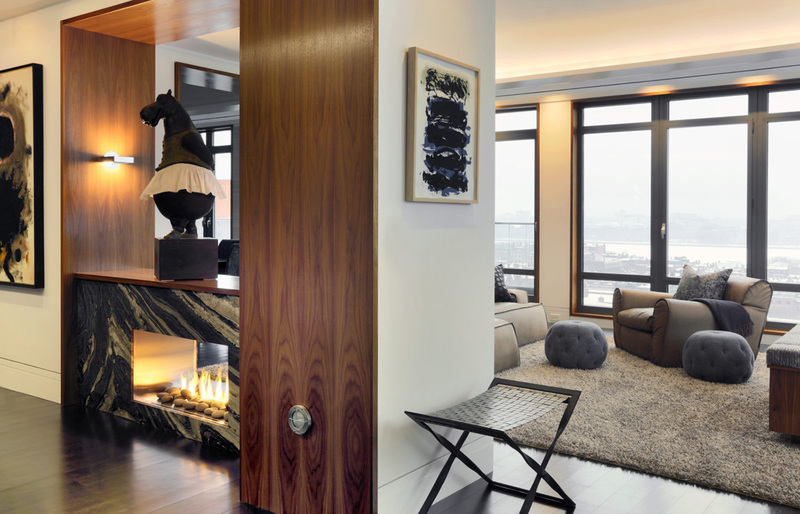 This sophisticated condominium by LDa Architecture & Interiors is a mere two blocks from the finish line. 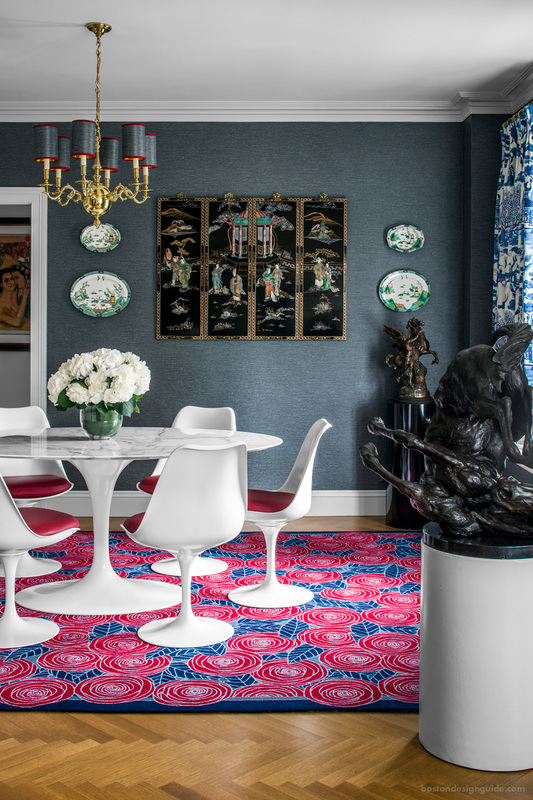 A rhapsody in blue, scarlet and ivory, a stunning, rarefied living and dining room overlook a bustling Boylston street.